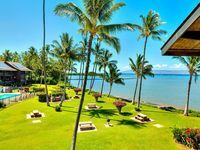 Coffees of Hawaii is a 500-acre (2 sq. 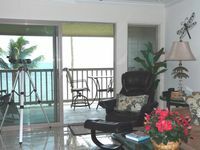 km) coffee plantation located in the heart of the island of Molokai. They produce and sell their coffee right here and are committed to producing the finest coffee. In addition to their Molokai Coffee, they also mill and roast 100% Kona and 100% Maui Coffee. Located right on the plantation is their café and gift shop, where besides their premium Molokai coffee varieties, they also sell island blends, unroasted beans, cups and saucers, apparel, coffee cards, vintage items and a variety of foods, such as bagels, muffins, croissants, sandwiches, soups, salads and their signature drink, called Mocha Mama™. They also offer two tours: the Morning Espresso Tour and the Mule-Drawn Wagon Tour. Or visitors can do a self-guided tour and learn more about the history of coffee in Hawaii. 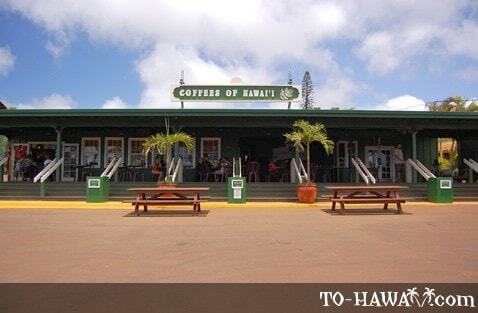 Located in Kualapu'u along Farrington Highway, "Coffees of Hawaii" is open every day of the week, from 6 am to 5 pm on weekdays, from 8 am to 8 pm on Saturdays and from 8 am to 5 pm on Sundays . I have many times enjoyed the wonderfull coffee from Molokai. Iâ€™m very sorry Monsanto has moved into your area. Also Iâ€™m sorry we no longer want your product as a result of their presence. The coffee was good, nice setting, and nice people. We were disappointed though, they no longer lead any tours or allow self-guided tours of the plantation (August 2014). There was an informational story board to look through. 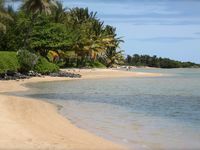 We came here a few times during our Molokai vacation. The coffee is good and the setting is nice. If you come from a big city like we do, it is really charming to find a cafe that is not crowded. One time we went in the afternoon and most of the coffee tables were taken because there was live music which was nice. The downside: it can take a really long time to get your coffee. They are not too fast in serving you. Also, around 10 am there is a tour group coming (around 15-20 people) and if you happen to be there while all of them order coffee it can take reaaaaally long until your order is fulfilled. The food is so so. We have tried worse on Molokai. Living in Pasadena, CA, I have 5 choices of fresh roast espresso places within 10 minutes of my house. But on Molokai, you have "Coffees of Hawaii" with decent espresso machines, or nothing. I can't speak for the other review, but my food and pastries were a welcome life preserver for an island with little gentrified yuppie/boomer infrastructure. 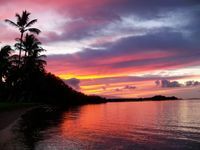 Which of course, is why you go to Molokai. I am sorry to say that I cannot recommend the Moloka'i Coffees of Hawaii Plantation. After waiting in a long line, in a tiny coffee shop that was very hot inside, we bought a pastry and there were ants on it; this was not realized until after my brother in law took a bite out of it. The banana shake we ordered was really sugary and made us all sick (no real bananas were in it-just syrup). We were also treated poorly by a saleswoman and decided to leave after that. They just didn't live up to Moloka'i's motto: "The Friendly Isle". Disappointed!